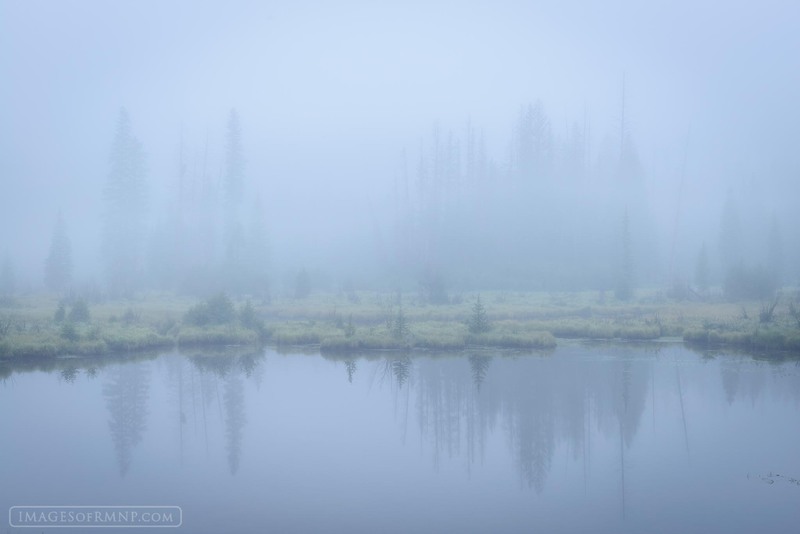 On a perfectly still morning the fog drifted in and out occasionally revealing brief glimpses of the forest on the other side of the water. It was like a dream state where the boundaries between reality and one's imagination seemed to meet. Photo © copyright by Erik Stensland.